Four out of five of us get back pain at some time. Most back pain is caused by a simple sprain or strain and improves in a short time with simple self-help treatments. However, sometimes back pain becomes persistent (chronic) or has a more complex cause. Either way, there is a great deal you can do to help yourself, our treatments however are available to help with the more complex problems. If you have low back pain, you may have tension, soreness or stiffness in your lower back area. This pain is often referred to as ‘non-specific’ back pain . How does back pain occur? Back pain can be caused by injury or bad postural habits. Back pain is something that many people experience at some stage during their life. It brings with it stress and interruption to our work and social life. Fortunately, serious or permanent damage is relatively uncommon. Your spine is an extremely strong structure made up of small bones (vertebrae) which are connected by discs and ligaments which make it strong, flexible and shock absorbent. It is reinforced by strong supportive muscles. All these structures have numerous nerve endings. If they are under stress or injured they will let you know. Most back injuries do not cause any lasting damage. The pain experienced is your body telling you to do something about it. Tablets – Many people are reluctant to take tablets for fear of becoming dependent upon them, but simple pain killers such as aspirin or paracetamol, taken for short periods, are often very helpful. Another group of pain killers known as non-steroidal anti-inflammatory drugs, are particularly effective in dealing with spinal and muscular pains. Some of these are available over the counter at pharmacies, but others require a prescription from a doctor. You should be careful when using this type of pain killer if you suffer from indigestion or asthma. Rest – In the past, prolonged periods of rest were prescribed for acute spinal pain. Research has shown us to limit this approach, because it is now appreciated that prolonged rest leads to stiffening of the facet joints (small joints in your spine) and wasting of the muscles which support the spine. Short periods of bed rest, are rare only in extreme cases. The use of external supports (corsets or collars) for long periods is undesirable. Initially the patient should always adopt the most comfortable position. Movements that cause unbearable pain should be avoided, while movements that are uncomfortable, have no effect or reduce the pain are encouraged. As the acute pain subsides our physiotherapist can teach you progressive stretching, strengthening and core stability exercises to minimise the risk of a reoccurrence. Our Physiotherapy team has been treating spinal pain for many years. Most people feel much more confident about managing their spinal pain if they first receive our expert advice. Muscle sprains and strains can be a frequent source of back pain and the most common is a lower back muscle strain that causes pain in the lower back. Differentiating between a strain and a sprain can be difficult as both injuries show similar symptoms. A sprain is the stretching or tearing of ligaments (the tissue that connects one bone to another) whereas a strain is a stretching or tearing of a muscle. What causes back muscle sprains and strains? Low back pain/muscle strain or ruptures can occur in the back just like they can anywhere else in the body. A muscle strain (or tear) in the back is usually caused by a sudden movement or trying to lift something that is too heavy. The low back pain however is often a long time coming on as the muscles in the back gradually tighten up due to bad posture and overuse. These muscles go into spasm and do not get enough blood through them resulting in weakness. When someone complains of low back pain when they bend down to pick up a piece of paper and tear a muscle in the back, it is not just the piece of paper that caused it but a gradual build up of tension over weeks and months. Poor postural habits, weakness and reduced muscle activation, hormonal imbalance in the period cycle and pregnancy and cause symptoms consistent with this diagnosis. What are the symptoms of back muscle sprains and strains? People with a muscle sprain or strain frequently feel a tear or even a pop as the injury takes place but not always. The main symptom is pain that can appear either side of the back or in the upper buttocks and can get worse with muscle spasms as they occur. This type of pain does not go down into the legs. Buttock pain is most commonly seen in athletes involved in kicking or sprinting sports. It can occur in isolation or it may be associated with low back or posterior thigh pain. Pain in this region may arise from a number of local structures or be referred from the lumbar spine or sacroiliac joint. 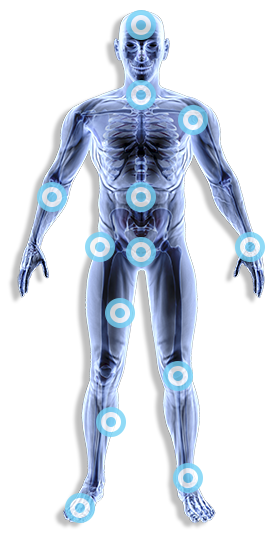 Referred pain is often described as a deep, aching, diffuse pain, variable in site. Pain referred from the lumbar spine may be a result of abnormalities of the intervertebral disks and some of the small joints in the spine. Spondylolysis and Spondylolisthesis may also cause buttock pain. Sacroiliac joint dysfunction may also refer pain to the buttock. The sacroiliac joint is the articulation of the sacrum (at the base of the spine) with the pelvis. Clinically the patient has deep buttock pain, difficulty in ascending and descending stairs and difficulty rolling over in bed. With this condition there is often a rotation of the sacroiliac joint with one side of the pelvis being higher than the other resulting in a possible difference in leg length. This is often associated with instability of the low back and pelvis. We often see golfers and athletes with this condition. Latest research has also linked hip stiffness and mal alignment to lower back pain and SIJ dysfunction. The disc is made up of a number of components. If you can imagine cutting an onion in half you will find a number of rings. These are called the annulus fibrosis on a disc, the outer layer. For some reason the outer part of the disc near the back is weaker than the other parts. In the centre of the disc is called the nucleus. The disc acts in normal circumstances like a shock absorber on a car. Occasionally the disc can “herniated” out or collapse or become worn through age. This can lead to the disc deforming (herniated) and therefore press on your nerve. Trauma can also create such a problem. Back pain – The pain is often severe, and usually comes on suddenly. The pain is usually eased by lying down flat, and is often made worse if you move your back, cough, or sneeze. Sciatica is: a well-localised leg pain which corresponds to the distribution of the sciatic nerve which normally radiates to the foot or toes. It is often associated with numbness and tingling in the foot and the outer side of the lower leg; the areas supplied by the sciatic nerve. Nerve root pain (usually ‘sciatica’) – Nerve root pain is pain that occurs because a nerve coming from the spinal cord is pressed on (‘trapped’) by a prolapsed disc, or is irritated by the inflammation caused by the prolapsed disc. Although the problem is in the back, you feel pain along the course of the nerve in addition to back pain. Therefore, you may feel pain down a leg to the calf or foot. Nerve root pain can range from mild to severe, but it is often worse than the back pain. With a prolapsed disc, the sciatic nerve is the most commonly affected nerve. (The term ‘sciatica’ means nerve root pain of the sciatic nerve.) The sciatic nerve is a large nerve that is made up from several smaller nerves that come out from the spinal cord in the lower back. It travels deep inside the buttock and down the back of the leg. Research studies where routine back scans have been done on a large number of people have shown that some people have a prolapsed disc without any symptoms. It is thought that symptoms mainly occur if the prolapse causes pressure or irritation of a nerve. This does not happen in all cases. Some prolapses may be small, or occur away from the nerves and cause minor, or no symptoms. It is now realised, however, that a minor tear of the disc can release chemicals causing inflammation of the sciatic nerve without actually touching it. Treatment begins after a through examination. 85-90% of the time a diagnosis can be made without the aid of scans, x-rays, or blood tests. The Physio Team-Works clinic has the expert skills available to provide you with a diagnosis and prognosis. If we can not make a definitive call on the condition then we have the facility to refer you on for scanning and an expert opinion. However most of the problems that present at the practice can be managed without this given the appropriate time. Treatment in the acute phase consists of painkillers and should start with the appropriate exercises as soon as possible. As the acute episode settles, it is important to restore normal pain-free movement to the area with localised mobilisation, stretching and stabilisation exercises. It can be caused by an injury or a form of trauma, like a sports injury, a car accident or a fall, which although seemingly unlinked, can be the cause of many problems or abnormalities in the lower back that result in pain. Poor posture can be another cause, as can emotional stress, obesity, age and poor body mechanics such as lifting without bending the knees. Lower back pain can be the result of damage to the soft tissue like muscles, ligaments and tendons due to an accident of some sort. Other causes can be particular conditions such as osteoarthritis, rheumatoid arthritis, and degeneration of the discs between the vertebrae or cancer. In summary, the possible causes of lower back pain can be categorised as mechanical, inflammatory, due to tumours, metabolic, referred pain from elsewhere, or can even be caused by depression. Symptoms include pain in the buttocks that may radiate down the leg. Scoliosis is a sideways curvature of the spine, in which the spinal column can also twist, pulling the ribcage out of position. It can affect a person’s appearance because when the spine bends to the side the vertebrae (the individual bones that make up the spine) become twisted and pull the ribs round with them, which sometimes forms a characteristic lump on the back and can cause the shoulder blade to stick out. The spine can bend towards either side of the body at any place in the chest area (thoracic scoliosis), in the lower part of the back (lumbar), or above and below these areas (thoracolumbar). It can even bend twice, causing an S-shaped curve. When the curve is S-shaped (a double curvature) it is often not noticeable and the person can appear quite straight because the two curves counteract each other. If the curve is lower down in the spine, the ribs will not be affected but one hip might be higher than the other. The causes of scoliosis are many, and although we well understand the consequences, the origins of this condition remain complex and obscure. Congenital: This refers to a condition that is present at birth, such as a malformed vertebra. Degenerative: Sometimes called neurodegenerative, this refers to a disease or condition that results in progressive deterioration and is usually age-related– it continues to get ‘worse’ over time. Idiopathic: This means that the cause is unknown. Idiopathic scoliosis means that the curve has formed for an unknown reason. Onward specialist opinion if scoliosis is progressive. Cobb angle: This is the name of the measurement of scoliosis that is obtained from an X-ray. It refers to the severity of the curvature and is measured in degrees. A measurement under 10 degrees is regarded as normal, between 10 degrees and 30 degrees is classed as mild, and anything over 60 degrees is severe. We can also inform you of how you can help your own recovery, and what should be avoided. You will be provided a specific rehabilitation program, and we aim to back to your full levels of activity and/or sport as quickly as possible. Physio Team-Works will carry out a full assessment to determine the cause and develop an individually tailored rehabilitation programme. We have the facility to provide written graphical programs that can be modified throughout your treatment and management. We offer comprehensive treatment of acute and chronic conditions using both a hands-on approach and core-stability retraining. We will offer advice to enable you to manage your back in the long term and therefore reduce the risk of recurrence of pain and time off work. The better you are informed the more likely you will recover and be able to prevent re- occurrence of your injury. Exercise is very effective in facilitating recovery. Any form of continuing pain will mean that you stop moving. This leads to your muscles wasting and this will make your back weaker and more easily tired. So you need to restore the strength and flexibility in your back. The body needs strong back muscles to work as a shock absorber for jolts and knocks which is part of daily life. Even when your back is sore you can make a start without putting too much stress on your back. Also, remember that your back may feel sore after the first few days of exercise – this is normal so don’t let it put you off (it may help to take some painkillers before exercising on these days). We are fortunate enough at the Physio Team-Works clinic to have access to many leading surgeons and doctors in the regions should we consider further investigations suitable medical professionals regarding your treatment and diagnosis E.g. 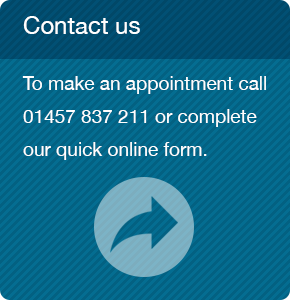 GP’s, orthopaedic/ rheumatology consultants. We also has excellent post operative rehabilitation skills that can help lead you out of the problems you are faced with in work, sport or social activity.